Another lovely autumn morning in the Tame valley. Started at Middleton Hall. 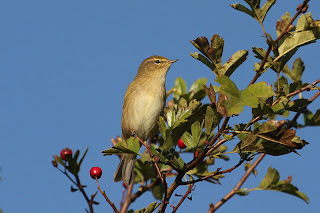 The bushes and trees bordering the path from the farm to Fishers Mill seemed full of birds, but only the commoner species including good numbers of Chiffchaff. 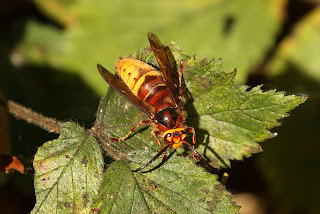 There were also plenty of Hornets particularly around Ivy covered trees. The walk from Fishers Mill to the Drayton Bassett pits was unremarkable, a small flock of Linnet fed on Dock seeds but there was little else of note. 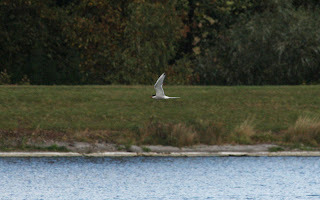 Moving on to Shustoke the adult Arctic tern seemed totally unconcerned by the Sailing boats as it stayed at the western end of the reservoir. I was glad I didnt have to walk far as I would have felt out of place without at least one dog. There were dogs of every shape and size everywhere. I did walk far enough though to get dog muck on my shoes. Why do dog owners take no responsibility for their dogs excrement on paths in the countryside ? Do they think it vanishes somehow in the country. 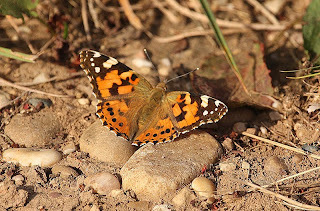 Fouling the pavements is not tolerated in towns so why should it be OK on country paths ?